After the break up of The Eagles in 1980, Joe Walsh was the first ex-band member out of the blocks with a solo album. Of course, he was already experienced in that department having had a number of solo albums before joining and whilst with the band. Most notable of those was the 1978 album, “But Seriously Folks,” which I visited on here a long time ago. It’s sometimes hard to believe that I’ve been at this for three years now. “There Goes The Neighborhood” was his first solo release since “But Seriously Folks” and on account of rockers like the famous “Life’s Been Good” on that album, it took me a rather long time before I was able to warm to this 1981 effort. 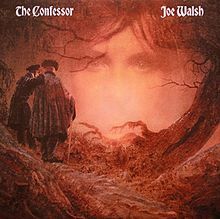 I realise now that I was guilty of pigeon holing Joe Walsh back then because there are no rockers like his very famous 1978 single on this album and that is something I don’t do for many other artists and don’t like it when the media and so called music fans do it. Now with my wrist slapped and a refamiliarisation of the album thanks to YouTube, I can talk about this album through a fresh pair of ears. What put me off the album in 1981 was the first single, “Life Of Illusion,” which each time I heard it, gave me the impression that I was dining in an Italian restaurant. Don’t ask where I got that from. I didn’t have that impression this time around but it’s still not the best song on the album. The tracks “Down On the Farm,” “Bones” and “Rivers (Of the Hidden Funk) all top it for their more bluesy guitar sound. The last of those featured former band mate Don Felder, who co-wrote the song, on guitar and although it’s not stated, I can’t help wondering whether or not the two did their guitar solo trade off like they did on a very famous Eagles classic. The rest of the album varies between that blues sound and a more progressive rock sound. Now I know why I try not to pigeon hole artist if I can help it. 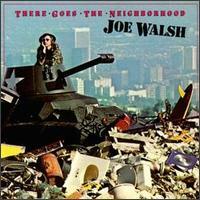 So, “There Goes The Neighborhood” wasn’t the hard rocker that Joe Walsh’s previous album was. It’s still not a bad album and there are a few tracks where he still works some magic with the guitar.